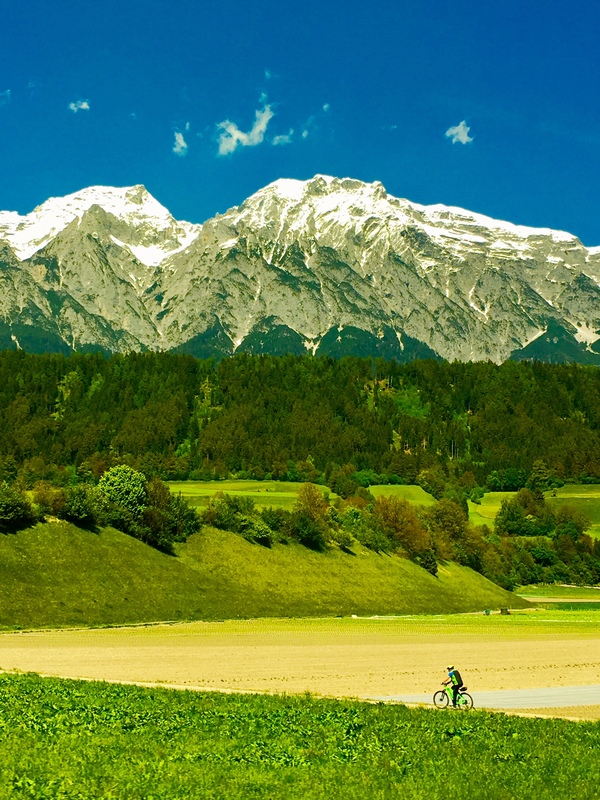 The stupendous Austrian Alps on the Munich to Venice train. Between the GERMANY & AUSTRIA TOUR and ITALY. MIke Ross Travel. 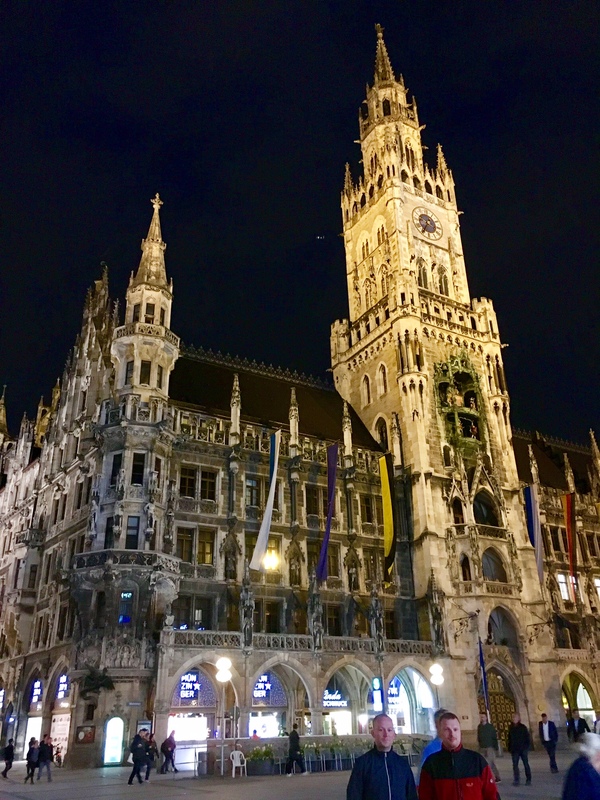 Goodbye to Munich and goodbye to the wonderful Germany and Austria Tour. On to ITALY! Mike Ross Travel. Lots of fun at our farewell dinner at the Munich Rathskeller. On the Germany and Austria tour. Mike Ross Travel. 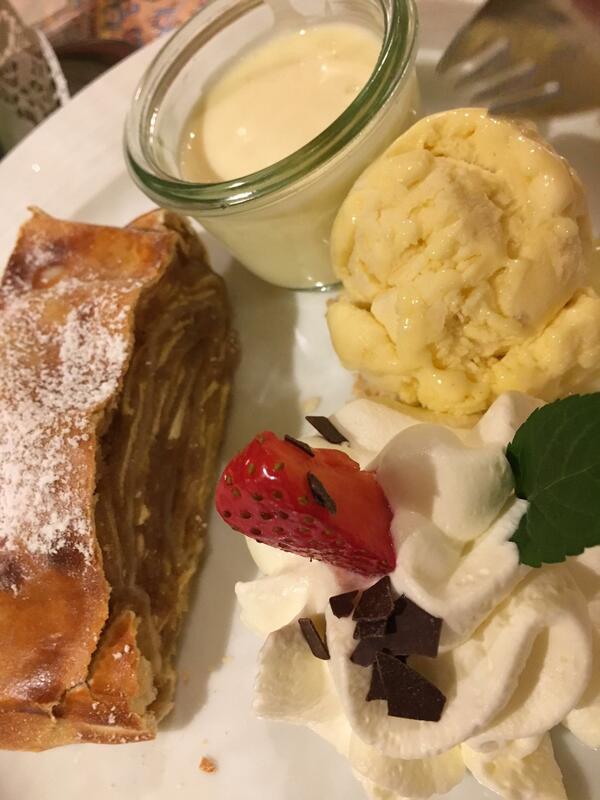 Just a little bit of apple strudel, vanilla ice cream and plenty of whipped cream. On the Germany and Austria tour. Mike Ross Travel. 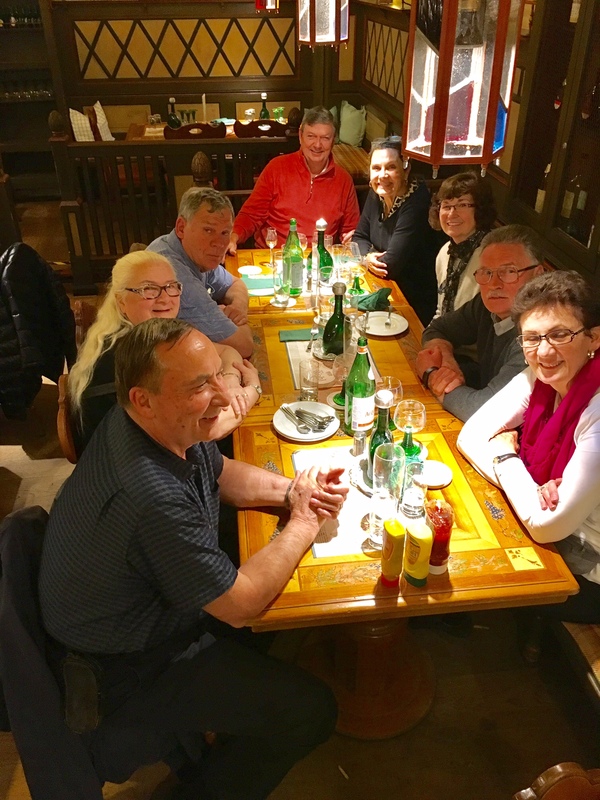 Our farewell dinner at the excellent restaurant in the Rathskeller in Munich. On the Germany and Austria tour. Mike Ross Travel. 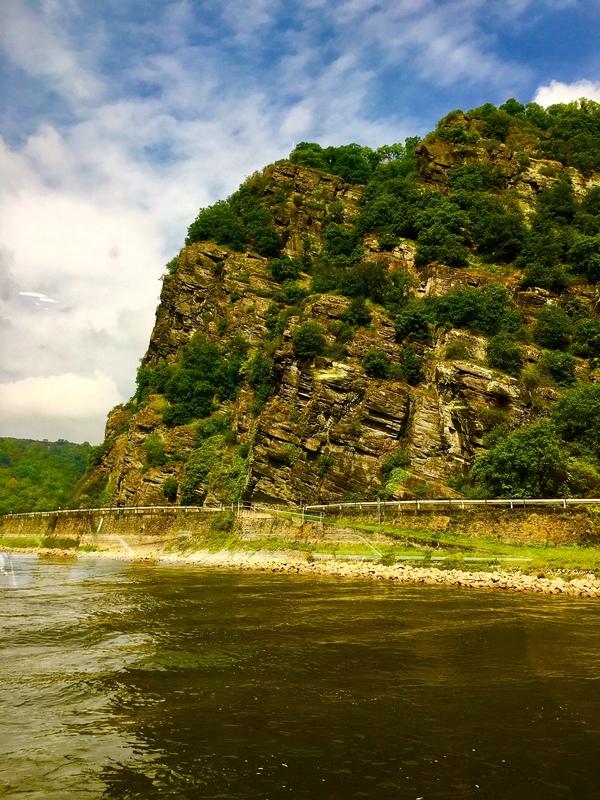 Famous in myth and legend, the Loreley Cliff. On the Germany and Austria tour. Mike Ross Travel. 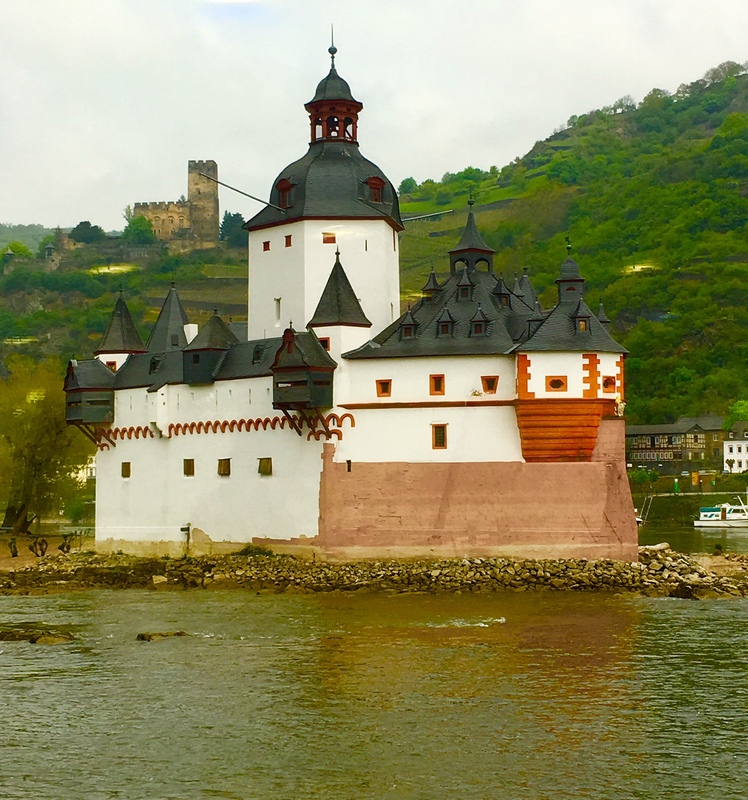 The imposing Rheinpfalz in the Rhine River. On the Germany and Austria tour. Mike Ross Travel. 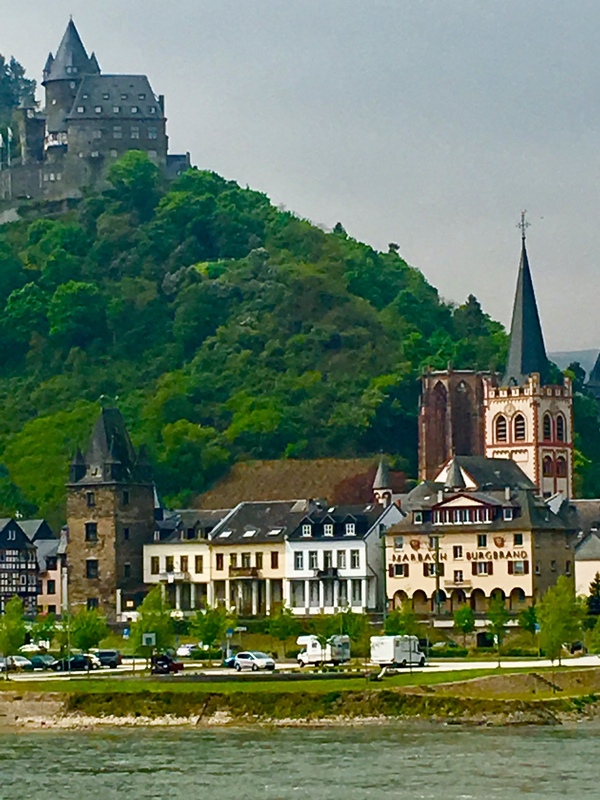 One of the charming small villages along the Rhine River, on the cruise. On the Germany and Austria tour. Mike Ross kept Travel. 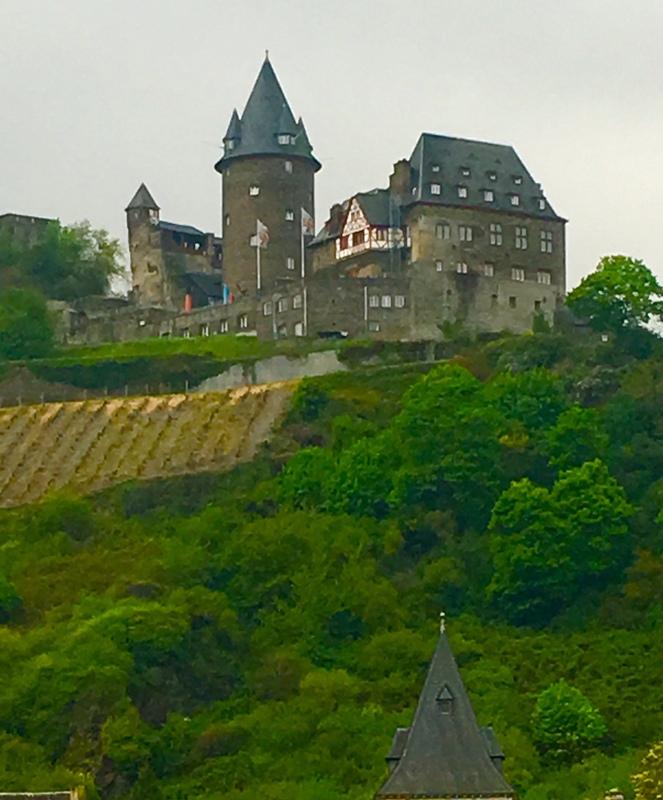 Castles on the Rhine River, on the Rhein Cruise. On the Germany and Austria tour. Mike Ross Travel. 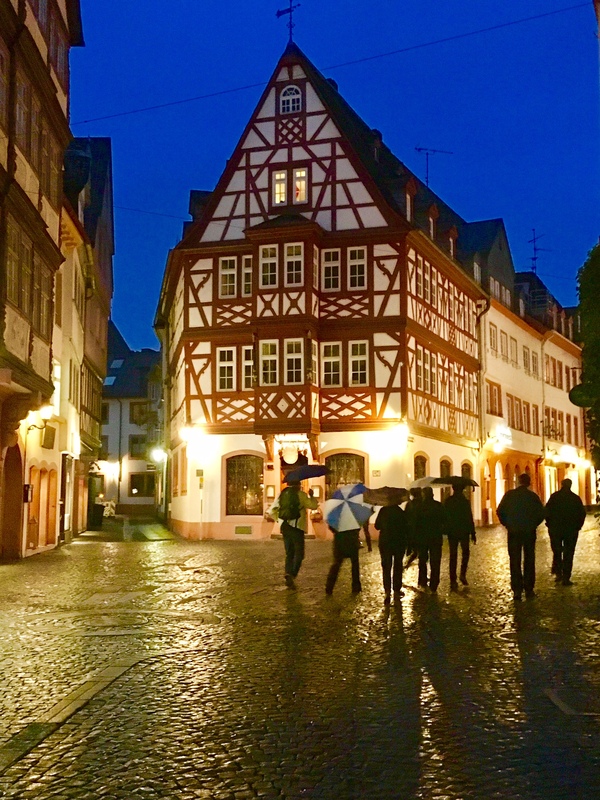 Medieval Mainz on the Rhine River, charming at night. 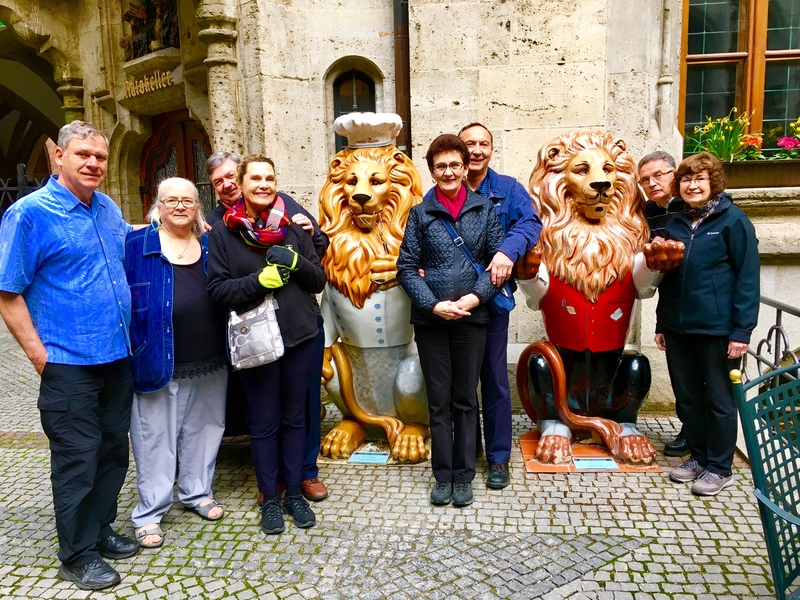 On the Germany and Austria tour. Mike Ross Travel.